It’s been a busy summer for sport, so in the second of our sports related #physiotalk we’ll be discussing the assessment and management of players with suspected concussion, on Monday 18th August at 8pm (BST) (see here for time zone converter). Concussion has been in the news recently, and a topic of intense twitter discussion throughout the World Cup, culminating in Christoph Kramer’s collision with Argentina defender Ezequiel Garay during the final. What is concussion, and how should we recognise it? 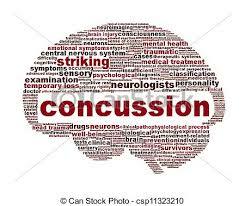 Why is it so important that concussion is identified promptly? How does the incidence of concussion vary between sports? What role should physios and other professionals play in the assessment and management of players with concussion? What guidelines should physios be familiar with? What other assessments should a person with concussion receive, and how might this vary between elite and amateur level sports?